There are many reasons to enjoy a career as a dental assistant. It’s fairly sociable, you get to perform meaningful tasks in the practice, and it is a great step for those seeking a career in dentistry. Plus, it doesn’t take an extensive amount of time to get fully certified. But, like any job, there can be some drawbacks. Here are four of the major problems that dental assistants face that you can – with a little work – overcome. Between getting in the office early to set up the rooms to staying late to finish a complex procedure, you may find yourself pulling long days. You’ll also likely find yourself on your feet most of the day. For the ambitious and driven, it is extremely satisfying and rewarding work. The goal to loving (and keeping) your job is to manage your time properly so that you don’t excessively burden yourself. Setting time expectations upfront with your boss and giving plenty of notice for vacation days will help keep you from feeling overwhelmed. Plus, your boss will respect you for communicating! While we would like to believe that every office is drama-free, it isn’t always the case. 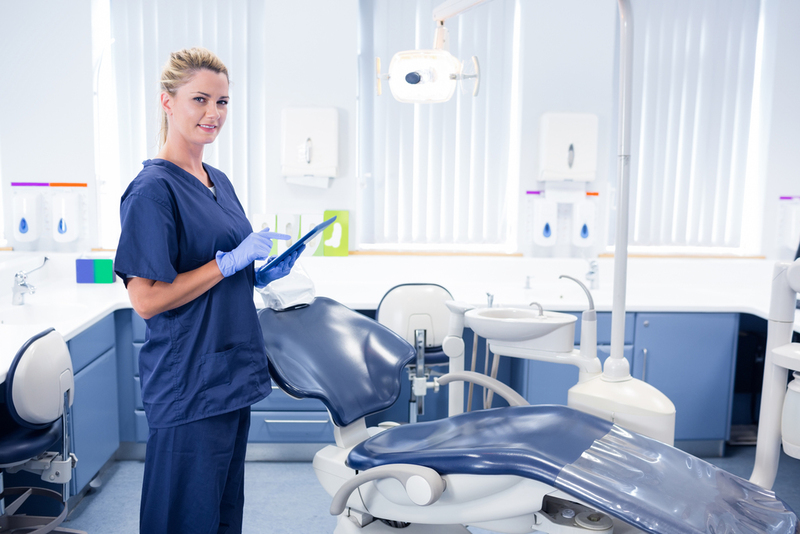 A troublesome patient, a coworker you rely on who is routinely late, a dentist that is difficult to assist — there are a plethora of things that could cause a headache to a dental assistant. Refrain. Try not to stir up the issue with an impulsive reply. You may find yourself saying something you regret. Report. Tell your your supervisor or HR officer in a polite, private, and calm manner that you’re having a problem. By getting it on the books, you’ll feel better about talking about it to someone and you’ll start the process of mending the problem. Reflect. After you’ve spoken to someone, develop a solution or strategy that can help you from facing that issue again. If it is an issue out of your hands, make sure that you discuss actionable steps for a long-term strategy with your supervisor or appropriate member of the team. Sharp tools. Loud noises. Painful prodding. Most people aren’t exposed to what we deem normal on a daily basis. Patient anxiety is very common — especially at the dentist — but you don’t have to let it impact your work. As soon as the patient enters the room or practice, talk to them in a kind and gentle manner. 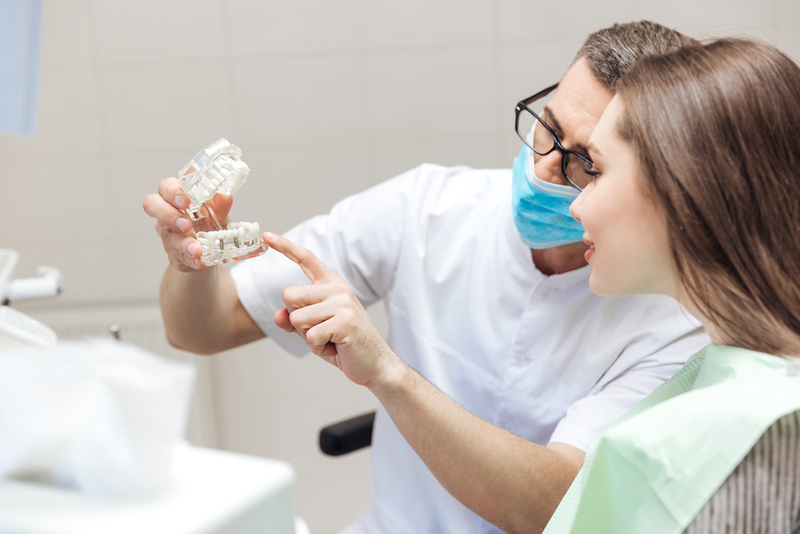 Together with the dentist, you can set expectations for the procedures and inform them of any potential uncomfortable aspects of their treatment. You’ll likely find that addressing these concerns up front eases them considerably. If something unexpected happens during the procedure, it’s important not to panic — that’ll alarm the patient. Instead, take the necessary steps to fix the problem as best as you can, and let someone know immediately if you need more assistance. Dentistry isn’t for the queasy. Throughout your time as an assistant, you’ll likely be exposed to many bodily fluids like blood (or, in some cases, infectious liquids), and chemicals that need to be handled with care. Remember: you’re working in healthcare. You must always take the necessary precautions to help both you and the patient stay safe. Wear gloves, goggles, and masks as required, and be sure to properly dispose of hazardous materials. Your health is as important as that of the patients, so don’t let a lapse in judgement cause long-term harm. You’ll find a career as a dental assistant to be rewarding and satisfying. If you maintain a level of professionalism, you can build a long and successful career in dentistry. Interested in finding a job as dental assistant, or seeking someone to fill a position? Set up an account on DentalPost and get access to thousands of interesting jobs and applicants in seconds.